The National Center on Elder Abuse reports that one out of every 10 senior citizens in the United States experiences some type of abuse, but fewer than 20 percent of those cases ever get reported. The elderly can be a great resource and deserve respect and affection. 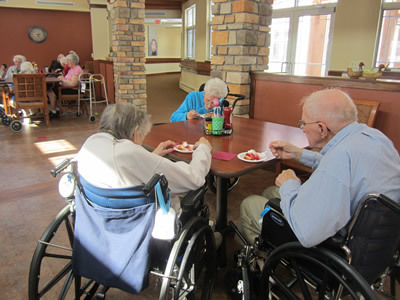 Taking steps to protect them not only spares society’s resources but can offer clients a peace of mind knowing that helping seniors now will help future seniors later. Elder abuse is not something that is brand new. Every year, hundreds of senior citizens are victims of many different forms of physical, emotional, and financial abuse. Due to there age, disability or medical conditions, they cannot always fight for their rights. Sometimes the relatives or friends who are to see they are taken care of, can be the perpetrators behind such crimes. We need to stand up for these people and stop this abuse. Call us for a free consultation. Elder Abuse is a serious crime. The validity of this can only be substantiated with good evidence. Without that evidence, your pursuit to bring justice for the elderly victim may not happen. A lot of times may suspects and even witnesses fail to obtain important information when they testify. Only a definite elder abuse investigation will reveal the type and degree of the situation. Call us at 218-454-0853 to schedule a consultation and speak to an Investigator today. We want to assist you in uncovering the extent of financial or physical abuse that your family or friend is being subjected to. We will also assist you in meeting with law enforcement in the jurisdiction to report the incident. What should I do if I suspect an elderly person is being abused? If the person is in a care center either assisted or nursing home, immediately talk with the supervisor on duty or social worker. Depending on what is observed, take a photograph with your phone or camera of any physical marks or bruising that cannot be explained. You can talk with your loved one as to how this occurred. Listen, listen and listen to what they are telling you. Also watch if they seem afraid of any of the staff or volunteers. Keep records and report it to Social Services at the facility. If you are still concerned and depending on the severity of the situation, in Minnesota you can contact the Minnesota Adult Abuse Reporting Center at 1-844-880-1574. In an emergency you can contact 911 to report the situation. What should I do if I suspect a vulnerable person is being abused? If the person is in a group home or other type housing center, report it immediately to the supervisor on duty. Depending on what is observed, take a photograph with your phone or camera of any physical marks or bruising that cannot being explained. You can talk with the individual and ask how this happened. Listen, listen and listen to what they are telling you. Also watch if they seem afraid or concerned of any staff or volunteer. If you suspect it is another resident, make sure to report that as well. In Minnesota you can contact the Minnesota Adult Abuse Reporting Center at 1-844-880-1574. In an emergency you can contact 911 to report the situation. What should I do if I suspect a relative is abusing? Bruises, pressure markings, abrasions, broken bones or burns may be evidence of abuse. Withdrawal of interest in things the individual enjoys doing. Bruising around the breast or genital area can be a sign of sexual abuse. Sudden changes in their finances can be a sign of financial exploitation. Bedsore, unattended medical needs, changes in hygiene and unusual weight loss can be signs of neglect. Behaviors like belittling, threats or other uses of control and power can be signs of verbal and or emotional abuse. Where can it be reported? Report the information to the Minnesota Adult Abuse Reporting Center at 1-844-880-1574. "I have worked with Jerry as the investigator on a wide range of injury cases. Jerry is very responsive and is genuinely interested in helping our law office obtain the best possible recovery for our injury victim clients. I recommended jerry highly and he is also fun to work with. Mark Rodgers-Bemidji Injury Attorney since 1981." We never charge a fee for a consultation, so contact us today to see how we can help you.